Golf fans across the globe are gearing up for the Ryder Cup, which starts on Friday, but it'll have to be some event to top last week's golf. We witnessed the European Tour's first ever sub-60 round on Friday when Oliver Fisher made a 59 at the Portugal Masters and on the PGA Tour yesterday, we witnessed what has to be considered one of the greatest sporting comebacks of all time, as Tiger Woods held firm to win the Tour Championship - his 80th PGA Tour title more than five years after his 79th. We'll begin in Atlanta. Having begun the day with a three-stroke lead, Tiger Woods set the tone for the fourth and final round with a birdie at the first hole and his nearest challengers, world number one, Justin Rose, and Rory McIlroy, wilted badly under the pressure. Billy Horschel charged from off the pace to post the clubhouse target but Tiger always looked to have plenty in hand and despite playing the final four holes in two-over-par, he held on to win by two, followed by a huge crowd up the 18th. I can't imagine how Justin Rose feels today - other than $10 million richer of course. He went to the top of the world rankings two weeks ago, despite throwing away the BMW Championship, and this week he's slipped back to number two but won the FedEx Cup, despite again performing poorly in-the-mix. 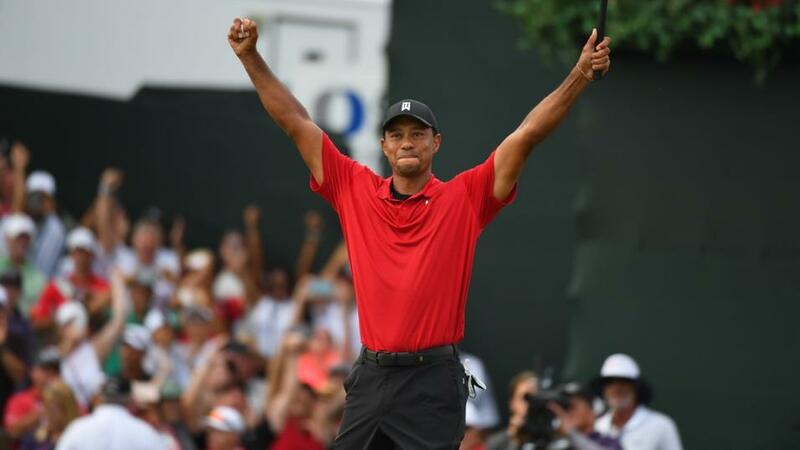 In the end, he needed a birdie four at the 18th to post a three-over-par 73 that saw him cling on to the FedEx Cup crown but had he made a five, Woods would have won the FedEx Cup as well as the tournament. Tiger was a 12/1 shot before the off and I confess, I thought that was short enough but I'm more than happy to have been proven wrong. Once he'd shown his wellbeing, and once he'd contended at the Valspar Championship (the big turning point for me) I thought he'd win again but I wasn't convinced his next win would come in a tournament of this magnitude. I thought he might win one of the less prestigious events first but I clearly wasn't the only one to doubt him. In 12 years of tournament play at Vilamoura, we still haven't seen a playoff but we do now have a two-time winner after the 2011 champ, Tom Lewis, who stayed in the same hotel room as he'd stopped in seven years ago, recovered form a pedestrian start to beat Eddie Pepperell and Paul Krishnamurty's each-way 80/1 selection, Lucas Herbert, by three strokes, but it was a lot closer than the leaderboard suggests and Herbert was matched at just [1.37] on the penultimate hole. Lewis led Herbert by a stroke as they stood on the 17th tee but a horrible tee-shot by Lewis found the drink and it looked like momentum had swung the way of the young Australian but Paul's pick failed to birdie the penultimate hole and Lewis holed this monster to maintain his one-stroke advantage. Poor Herbert must have been devastated and he then found water on the last before recording a double-bogey six. Lewis arrived in Portugal in form, having finished third at the Kazakhstan Open last week, one week after winning the Bridgestone Challenge on the Challenge Tour. He was generally an [80.0] shot at the start of the week, which wasn't huge given this was just his third ever win and his second on the European Tour and he didn't drift to any bigger than [470.0], despite sitting in a tied for 110th after day one! He really is an exceptionally gifted golfer and watching him win with authority yesterday, I was left wondering what on earth had happened to him after his last win here seven years ago. Maybe now he can kick on and win a few more because he really does seem to have everything. I had a couple of pre-event picks in-the-mix in Portugal but they ultimately all fell short and I had a decent chance with Rose in Atlanta. Another pre-tournament pick, Horschel, finished runner-up to Tiger, so I had a couple of fancies in with a chance all weekend at both tournaments but I finished up drawing a blank completely. Will the PGA Tour Ever Get the Tour Championship Right? Tiger winning was a magnificent and unforgettable occurrence but this isn't a tournament I enjoy too much as a rule and it very often lacks drama. And it did this time really - Woods was a [1.01] chance for much of the back-nine. There have been one or two exciting renewals of the Tour Championship recently. Rory McIlroy's playoff success two years ago had plenty of drama and many golf fans will recall the 2011 edition, when Bill Haas made a ridiculous up-and-down for par on 17 before winning in extra time but going all the way back to the pre-FedEx Cup days, and to the last century, there have been some really dull editions with very little excitement. The invention of the FedEx Cup was supposed to create excitement but it doesn't seem to matter how they tweak the format, most years we end up with a damp squib and the reason is simple, there just aren't enough players in the field. It began life as a tournament to showcase the season's star players - the top-30 on the money list - and it's now evolved in to an event for the top-30 on the FedEx Cup standings after the first three FedEx Cup events - but it still doesn't work for me. With so few in the field, there's always going to be a high likelihood that someone runs away with it, and they don't have to be Tiger Woods to do so. 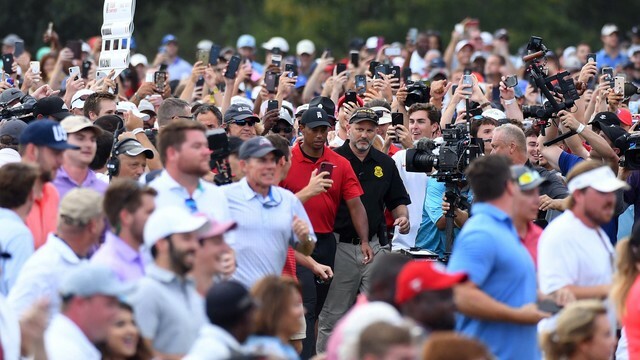 Tiger's won it three times now by an aggregate of 14 strokes but he's far from the only player to turn it into a quite frankly dull procession. Tom Lehman won by six back in 1996 and after the turn of the century there were a string of one-sided affairs with the likes of Chad Campbell, Bart Bryant and Retief Goosen all winning very easily. There are far more drab affairs than exciting finales but it's inevitable. They can change it and revamp it as many times as they want but while there's only 30 men in the field, the chances of someone winning easily will always be high. I'll be back tomorrow with my Ryder Cup preview.